The 30(150)A-LP1-18 is a thermal power/energy laser measurement sensor for high power density and long pulse lasers. 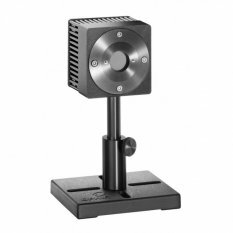 It has an 17.5mm aperture and can measure from 30mW to 30W continuously and to 150W intermittently. It can measure energy from 20mJ to 300J. Its high damage threshold LP1 absorber covers the spectral range from 0.25 to 2.2µm. The sensor comes with a standard 1.5 meter cable for connecting to a meter or PC interface. 12m cable to connect sensor to power meter or interface. Order along with sensor to receive this instead of the standard 1.5m cable.